The Ruby Tiger is well distributed throughout most of the Uk but becoming scarcer further north and into Scotland. It is found in most habitats but is often most common in open countryside such as coastal areas, moorland, heaths and along country lanes. They are also recorded in gardens in small numbers where they are attracted to light. 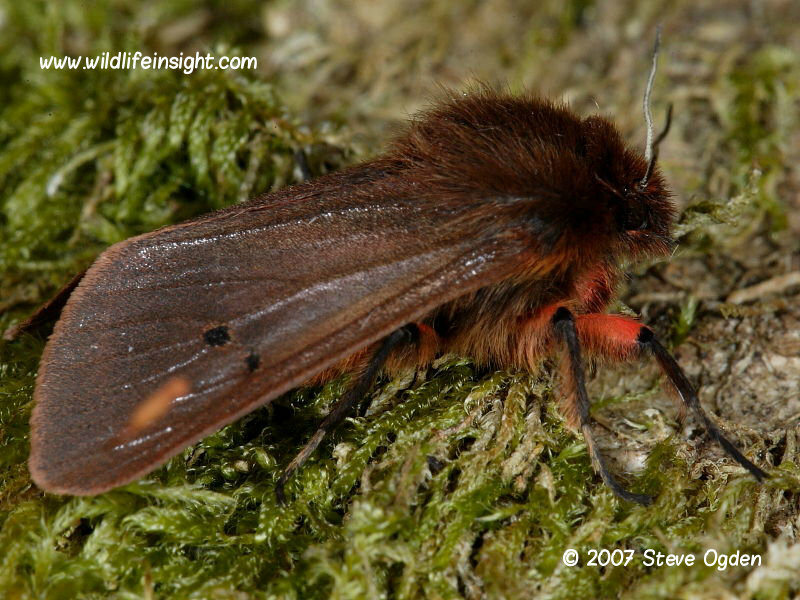 It derives its name from its dark reddy/brown forewings. The thinly scaled wings have a metallic sheen but their brightness can vary with dark borealis forms particularly common in the north. One or two black spots are usually evident in the middle of the forewings, the top half of the legs are covered in red or brown hairs and the upper leg coated in red hair. When disturbed during the day in sunlight they can appear dramatically red in flight. 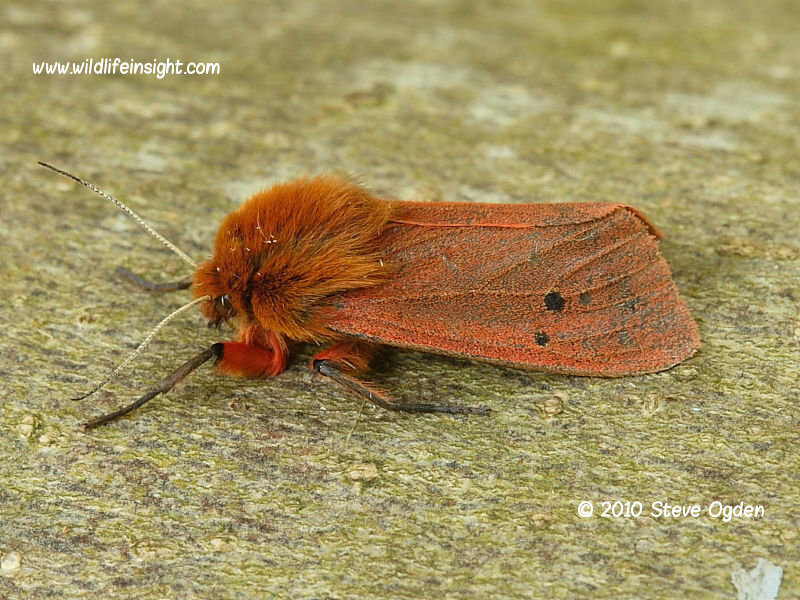 The adult moth has two main generations in the south, between April and June and in August and September but has been recorded in all months between March and November. The adults mainly fly at night when they are attracted to light but can also be recorded during the day. Eggs laid in batches on the food plant normally hatch in 7-10 days. The caterpillars of first broods are fully grown in under 30 days and pupate inside a cocoon formed in leaf/plant litter. 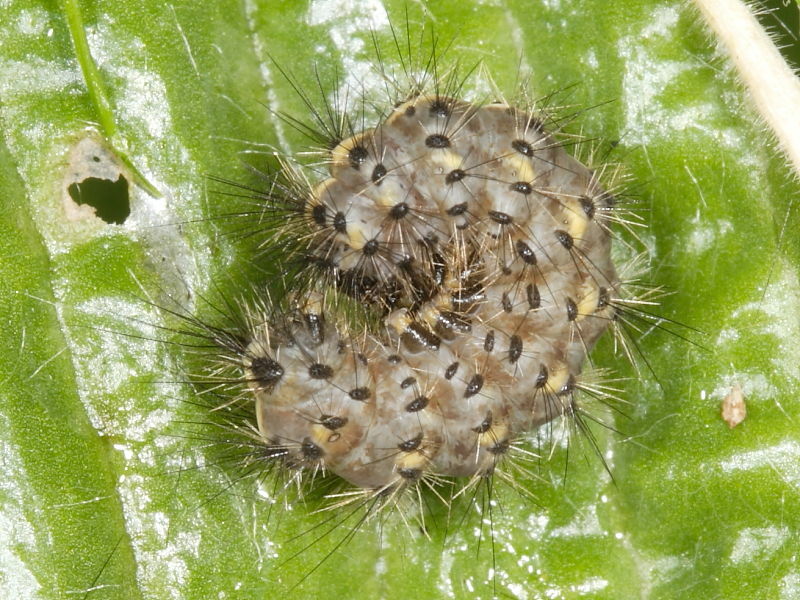 Second broods overwinter as fully grown caterpillars and emerge during early spring. They are often come across wandering about during the day prior to pupating. The adult moth emerges in about 28 days depending on temperature. The fully grown caterpillars can vary in colour from brown, grey to almost black. The reddish dorsal line isn’t easy to see amongst the hair of fully grown caterpillars. The black head and rosette like tufts of hair can be useful when identifying. The caterpillars are poyphagous, feeding on a wide range of herbaceous plants including dandelion, plantain, dock and heather. 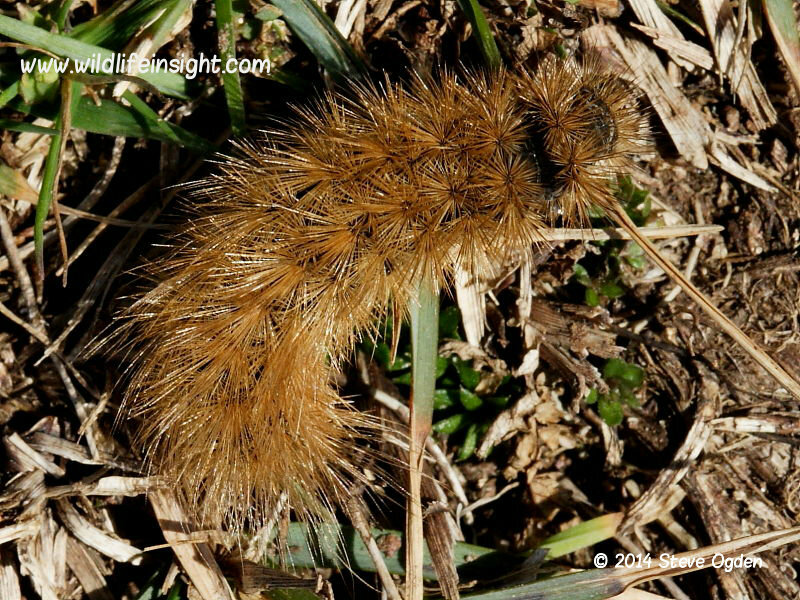 Overwintering caterpillars tend not to feed. The caterpillars are easy to rear in captivity but those overwintering are best kept outside in a sheltered place with some leaf litter in which they can later spin their cocoon. Those found wandering in the Spring readily pupate amongst grasses and leaf litter. The Ruby Tiger cocoon featured left was formed among the outer leaves of an ornamental conifer in a Southwest Cornish garden. The moth emerged on the 1st of May. Provisional Atlas of UK’s Larger moths -Randle, Fox and Parsons. 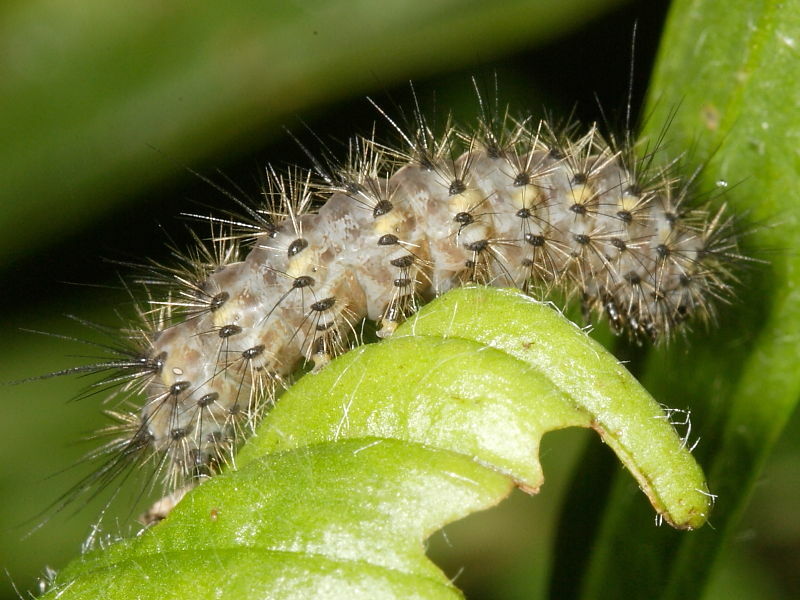 The hairs of some caterpillars can cause skin irritation.